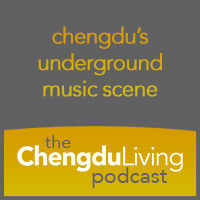 Note: aside from the embedded podcast below, there is the Chengdu Underground Vibes documentary which is hosted on Youtube. 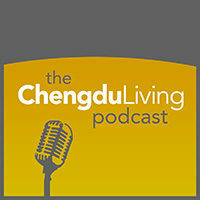 If you’re viewing Chengdu Living from China, you will want to have a VPN on. Nice podcast, Deven + Harry definitely have upped their game on recent videos. I also had the question about what qualifies as “underground” and wasn’t *totally* satisfied by the response, but I sort of get where they’re coming from. It seems it’s one part musical style one part venue management (ie not running it like a classic tea-and-whiskey-warm-Carlsberg-no-dancing-cept-the-Michael-Jackson-impersonator-halftime-show-table-service Chinese club). Anyways, my misgivings about the liberal use of “underground” aside, nice chat and very cool documentation of the club scene here. I hear you, in my opinion Dojo is the only thing in the documentary that qualifies as underground, but toward the end of Dojo it started to begin to lose that distinction. Poly Center was definitely underground at one point but Strawberry Music Festival never was. “International DJ scene” may be a more accurate description but it does not roll off of the tongue the way that underground does. 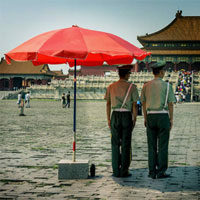 You’ll find that genuine “underground” music still has a pretty limited market in Chengdu. A few weeks ago the French noise band J.C Satan played a phenomenal set at Nu Art. To a crowd of maybe 20….. The Anderson Paak show in Chengdu was supposedly amazing but also not very well attended. That is a real shame, a definite sign that Chengdu is not ready yet for the bookings on the Beijing/Shanghai tier. The audience is much larger and more well educated in those cities, although Chengdu’s music scene has advanced considerably in recent years. There is still a long way to go. It was a great gig, fanatic energy. I really like the space NU has for live bands too. The documentary these guys have put together is s good one, but I think a little misleading as to just how vibrant the music scene is here. admittedly they focused mostly on the EDM scene which I’m not that into..
if, as the documentary suggests, TAG is the best techno club in China then why is nobody ever in it? I popped in last Saturday for a few minutes and it was packed. to be fair, I’ve never been in tag before 2.00am. I think chengdu is missing a venue like the original shapingba Nuts club(CQ). Decent size and not pigeon holed to one genre. techno one night, thrash metal the next. plus 5rmb cold snows. Also, chengdu needs an indie disco, chinese indie hipsters are an untapped resource. The Shapingba Nuts club was indeed a lot of fun! I think the new Nuts in Jiefangbei is a better venue for live bands (larger, better sound, not as deafening) but not as great for DJ performances. I agree with you on the musical diversity. Indie disco in Chengdu would be fun! I hope that happens. I, like many here in the music scene, am getting tired of the Poly Center in general. Hello, I’ve been enjoying your podcasts that are available on Overcast. It seems that the first 10 aren’t on there now or on iTunes now. Any chance they’ll be put back up? I tried the streaming option you have on this site, but to be honest, it wasn’t working very well. Anyway, good stuff, hope to hear the first 10 sometime. Thanks! Thanks for mentioning this, I use Overcast also but did not realize there was a problem. I will look into this and get back to you.